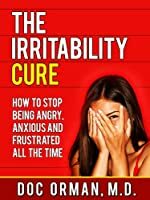 Big Time Thursday List of Free Books, Wow! Warning: This is not a standard Tim Myers cozy mystery novel. 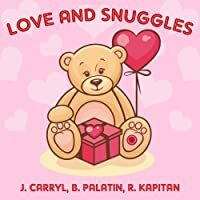 It has graphic language and adult situations that my regular readers may find offensive, so be aware! A small Maine city has turned into a killing ground. Is it a serial killer, someone with a penchant for the macabre and a need to destroy? Or is it a darker force, an ancient legend from a mysterious Island come ashore to wreak havoc upon the unsuspecting? 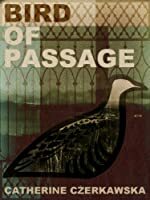 Amid the backdrop of Portland’s burgeoning night scene, Police Lieutenant Rick Jennings discovers that no one is safe, and that evil has many faces. Jane can’t move forward with her life until she deals with her past, but she would do anything to avoid remembering what happened at a party many years ago. Then she sees a picture in the newspaper of her car being dragged up from the bottom of Lake Winnebago. From the shadowy depths of her mind a frightening picture begins to emerge. High school senior Cody’s prayers are answered when he’s recruited on scholarship to the college of his dreams: a stunning and prestigious school tucked high in the Tennessee hills. But the dream turns living nightmare when his classmates start to die off mysteriously. Is it Cody’s imagination, or are his friends’ tragic deaths a sinister legacy handed down through the generations? And is he next on the roll call? They call it the Heartland Child Murders. Everyone else calls it a nightmare. Locked doors don’t stop him. He leaves no trace behind. He only takes little girls. A deranged serial killer roams wintry rural Nebraska targeting little girls with a demented purpose that no one can fathom. 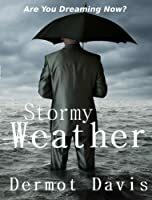 Special Agent EMMA KANE, a former DC cop and damaged goods now with the FBI, is assigned to baby-sit burned out profiler JACOB THORNE, once the best in the business but now said to have lost his edge, as they both fly to Nebraska to catch this maniac. Thorne is erratic, abrasive and unpredictably brilliant, but what he and Kane find in the heartland is much more than anyone bargained for, especially when the Iceman challenges them personally, where it hurts most. The clock is ticking and a little girl’s life is on the line. And maybe even more with that, once they find out what he’s really up to. Why did the legendary gunfighter, Ringo, come to Boot Hill? Did the wealthy rancher, Willy Gibson, hire him to combat the cattle rustlers? Or was he here to hunt down the men who tried to kill him? “Would you mind telling me why you’re in Boot Hill, when you’re supposed to be in hell?” Curly asks. Little League Softball Champs is fast-paced G-rated action, beginning with the season opener until the very last out of their fastpitch softball season. A touching, heartwarming, and inspiring story about a young fastpitch softball team of 10 – 13 year old girls, Little League Softball Champs gives new meaning to the word “champ.” The story takes off, merging real world “pre-teen” drama with the competitive spirit and passion of Little League Softball. Whether you are working to lose 100 lbs or that last 20 lbs, you will need to have some type of actionable plan for achieving your goals and hitting your targets along the way. 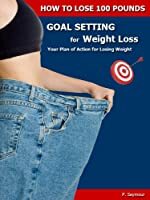 This book will help you to recognize the power of goal setting as it relates to health and weight loss success and help you to map out goals and a strategy that will work for you. This book, like the previous volumes, is a quick read told from a very real perspective. 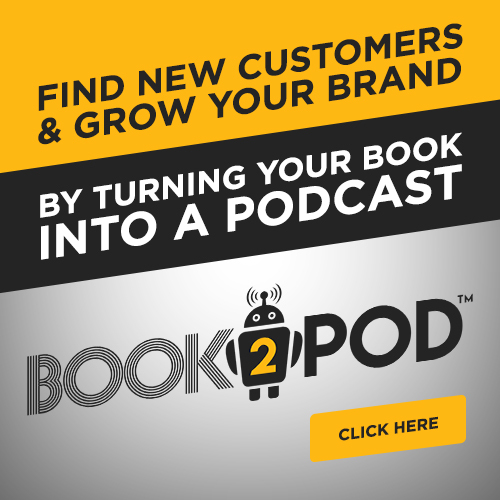 Introductory offer includes a free audio of book – see below. For thousands of years people of faith, ascetics as well as everyday people have practiced meditation to quiet their minds, find inner peace and connect with their spirit. Whether you are looking for a book on meditation for beginners or you are an experienced meditator wanting to renew your practice you’ll find “Meditation: The Gift Inside” connects you to the heart of the practice. 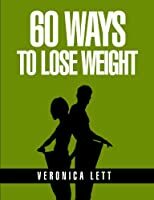 Losing weight does not have to be hard or complicated. We show you how small, simple diet and lifestyle changes can help you change your body shape and size for good. My tips will help you lose almost one pound a week. This may not sound a lot, but it soon adds up ”” in fact, if you lose one pound a week for a year, you will end up almost 4 stones lighter! So what are you waiting for? Follow our easy tips today! Find health tips and information and get the body you have always wanted. If you are a seasoned workout veteran or new to the idea of working out, there is a lot information you are going to need to know when it comes to fitness. 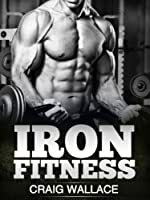 “Iron Fitness” will guide you through very important information you are going want to know on your journey to building the body you have always dreamed of having. Find your motivation and the information you need in “Iron Fitness” and become unstoppable on your quest to living a healthy and fit life. When it comes to the body of your dreams, you have to be ruthless on your mission to achieve it. 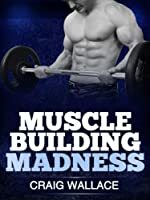 “Muscle Building Madness” will guide you, motivate you and ultimately fuel you in your quest to achieve a healthier, sexier and more productive life. Stop at nothing when it comes to getting all that you can out of your body and out of your life. Build solid muscle and change the way you live your life. 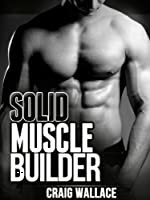 With “Solid Muscle Builder” you can turn your body into a lean muscle building machine. 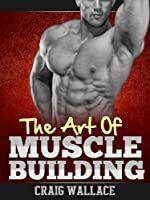 Whether you are a seasoned athlete or a beginner, the information provided in “Solid Muscle Builder” will give you the insight you need to hit the gym and get the body of your dreams fast. Getting the body you have always wanted will take work on your part. With the right information you can become a muscle building machine. Live your life the way you were meant to. Live your life to the max. 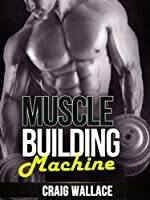 “Muscle Building Machine” will guide you through your journey to attaining your dream body and wil change your life forever. What well-known drink was developed at the University of Florida? 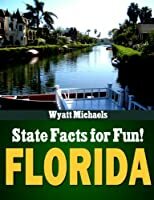 What city in Florida is known as the “Venice of America”? What breed is the state horse of Florida? Who was one of the four presidents that did not attend his successor’s inauguration? 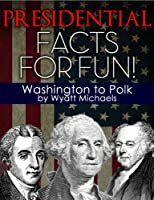 Which president ran for re-election unopposed? Which president had no vice-president? Which ballpark is the only major league ballpark to not have yellow foul poles? Which ballpark is sculpted into the side of a hill reminiscent of Roman amphitheaters? At which ballpark do boaters hope to catch home run balls? 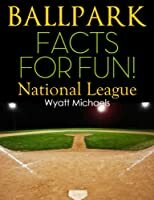 The answers to these questions and others are presented in a fun and interactive way for baseball fans from 9-99. Each question has three possible answers. If you guess wrong, you get to try again. Sometimes there are hints and comments to help you along. This is a fairy tale appealing to all age groups. In the happy Kingdom a teenage prince Adian is under the spell of a dark wizard and is unable to have any love in his heart and travels around the world in search for it. He meets witches, dragons, magic, trolls, elves, dwarfs, a flying teacher and even a pig that learned how to fly and all his adventures happen in a fantasy world that is just off our dimension. Are you ready for a jump into the reality where everything is possible? We are two 50+ year olds (actually nearer 60) from the South-East of England. In 2006 we took the decision to give up our home and jobs to join the numerous other back-packers travelling around the globe in search of new experiences. This book is one of a series based on the blogs that we regularly posted whilst on our trip. It was back in 2006 that we, two 50+ year olds, took it upon ourselves to give up our home and jobs to join the backpacking fraternity travelling the world. Although fairly well travelled, we had not visited Asia before so that was our obvious first choice. Sara Branmore was born in the UK in 1960. In 1980, she flew across the pond with her family, to live life in these United States. Sara and her family were in search of a “better life”, free from Government rules and regulations that plagued Great Britain. Fast forward 30 years, and now Sara sees that this fantastic land, America, is fast approaching the same Governmental control of the people here as it was back in England. With no time to waste, Sara put into words what she’s learned. Buying lunch gets expensive. Taking or making lunch can get boring and repetitious”¦.until now. Lunch in a Flash costs less and tastes better than buying your lunch every day. 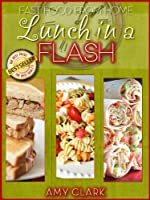 And with all the different ways to quickly make your lunch, you can look forward to new ways to enjoy your lunch break””at home or at work. A variety of preparation times are available for quickly making your lunch for today or making lunches ahead of time to quickly have it available on another day. 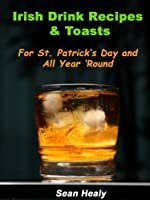 In this book Sean Healy brings you 43 Irish Drink Recipes and 38 Irish Toasts. Sean lived with family members in Dublin for one year and immersed himself in the Irish pub culture. His favorite pub was Mulligan’s at Poolbeg Street where he communed with the spirit of famed Irish writer James Joyce, one of Mulligan’s more famous customers. In addition to Irish Drinks and Toasts Sean shares his impressions of the celebration of St Patrick’s Day in Dublin. “50 Ways to Drink Tea” offers several different ways to enjoy tea. 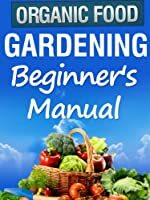 It is illustrated with colourful, authentic images, just to enhance your imagination while you prepare your own recipes. 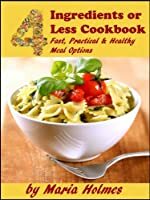 Most home cooks want fast, practical meal options that can help them get in and out of the kitchen quickly – and this collection of 33 recipes makes cooking even faster and easier. My tested recipes have short ingredient lists and easy-to-follow, step-by-step instructions. Each recipe require four ingredients or less (excluding water, oil, cooking spray, salt, pepper, and optional ingredients). Dawn of Destiny kicks off the story of Scott Remington, a young man following a calling to war. Sacrificing a promising life that could’ve been, he embarks on a journey to follow his destiny and make a difference regardless of where it takes him. It’s a story of faith and perseverance amidst trials and tribulations. This is high-action and intensity wrapped up in the reality of the human experience. Leave your sense of tranquility at the door. This runs on 94 octane. The protagonist of this story is a complete loser. But one has to admit, that the fucker is damn lucky. When during visiting a casino, the number six comes three times in a row, Satan reveals himself over the roulette wheel. And if that’s not enough, he offers to grant three wishes. It’s time to forget everything that you’ve known about wonderful lamps and genies. This is the short and bizarre story about the various faces of almightiness. Since the dawn of man, there have been Viewers. Leonardo Da Vinci, Issaac Newton, Albert Einstein, Bill Gates. People who, using only their minds, can tap into an alien internet and glimpse advanced technologies. Many of them think what they see comes from their own imagination. Others know better. For ages they have advanced our quality of life through their inventions and discoveries. 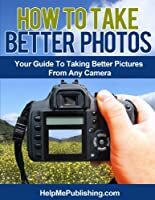 But now, a mad man has decided to capture every viewer he can, and force them to use their abilities to create for him advanced weaponry with which he will conquer and subjugate every country on Earth. Their only way to stop him is if sixteen year old Glem and his fellow captive viewers fight back ”” but to do so and fail would mean that they, their families, and loved ones would pay the ultimate price. 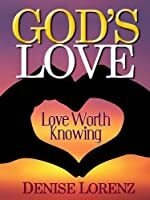 In this thought-provoking book the author clarifies the often misunderstood meaning of God’s love for you. In today’s society especially people in every nation seek to understand what the phrase, “God loves you” really means. More so now than ever answers are being sought. Every moment of every day, whether you realize it or not God presents Himself to you. But all too often those signs are missed, and most often when you are seeking some sort of help or clarification about life and love. 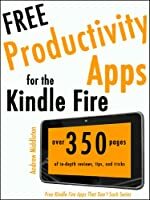 With over 350 pages of in-depth reviews, and tips and tricks, “Free Productivity Apps for the Kindle Fire” is more than just a random list of “Top Kindle Fire Apps.” This book helps you decide which apps to download first, it provides tips and tricks for how to get the most out of your apps, information for how to find help if you’re having a problem with an app, as well as in-depth reviews describing what is good and what is bad about each app. 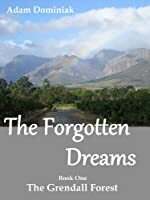 In present day Scotland, India travels back to the small island where she was born, in an attempt to discover more about the tragic love story which influenced her mother’s whole life. She finds more than she bargained for. He took a long time to come to the door. She had to hammer on the oak with her fists. And then he wrenched it open, staring down at her and blinking in the light. He had never run to fat but she had always thought of him as very fit and muscular. Now his clothes hung off him. TAMMY is the third issue of literary magazine WHOLE BEAST RAG. A parody, commentary, sublimation & examination of the contemporary women’s magazine, TAMMY explores our cultural fascination with the body’s ability to bleed while providing an alternative avenue for (wo)manifestos. WHOLE BEAST RAG is a critical conversation that connects radical words/works to the idea/issues of our times. From the age of seven Ryan Richmond dreamed about going to Space. Now Ryan Richmond has $3 billion to play with, he is in his forties; and still wants to go to space. His only enemy; the US Government who doesn’t have its own space program-and wants his new spaceship; AMERICA ONE. The business world has turned leadership into a difficult and complex topic. Author James M. Morrison, understands that great leadership fundamentals are about making sense of complex leadership challenges. In his book, The Choice of Leadership, James simplifies the leadership process as a CHOiCE through proven principles and practices. Advice on dating women and dating men (you think its different, but it’s actually very similar). 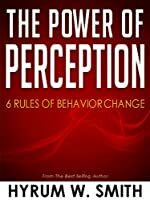 Bestselling author and motivational speaker, Hyrum W. Smith delivers his newest self-help eBook The Power of Perception: 6 Rules of Behavior Change. Hyrum teaches powerful rules for personal transformation that, if followed, can bring positive life change that breaks habits.